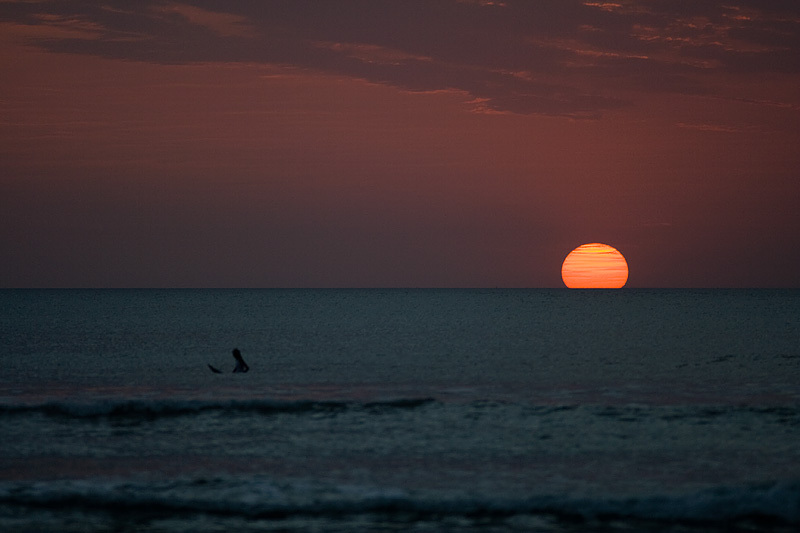 A surfer watches the setting sun slowly slip from view. The legends were true about Bali. 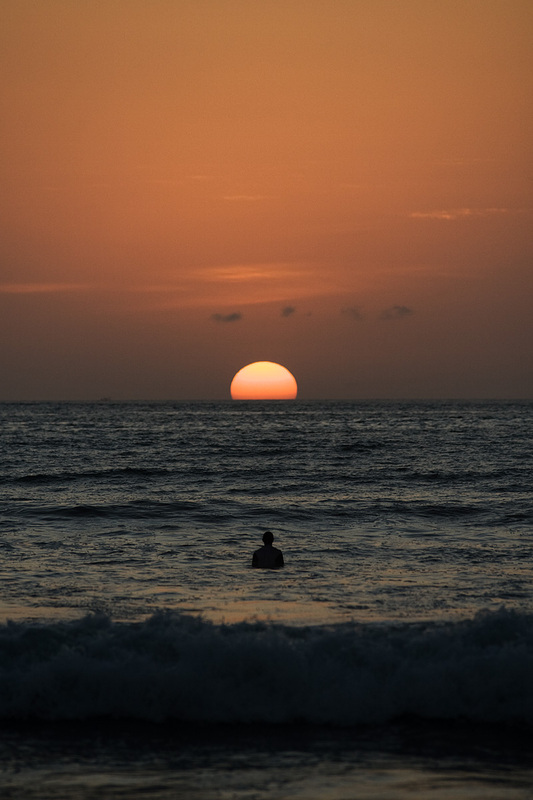 Nearly every evening at Kuta beach, the sun dipped perfectly into the ocean unobstructed by clouds. Combine that with the surfing and friendly Hindu culture and I see now why a quarter of Australia's population is vacationing in Kuta at any one time. A female surfer waits for one of her last waves of the evening.